JAMES STEVENS NO.14 (ON432) was the second Royal National Lifeboat Institution (RNLI) lifeboat to be stationed at Walton-on-the-Naze in north-east Essex. She was one of 20 vessels paid for out of a £50,000 legacy left by Birmingham businessman, James Stevens, after whom all 20 were named. A 43’ (13.11m) Norfolk & Suffolk class pulling and sailing type, she was built at Thames Ironworks in 1899/1900 with the yard number TI 35 and at a cost of £1420. 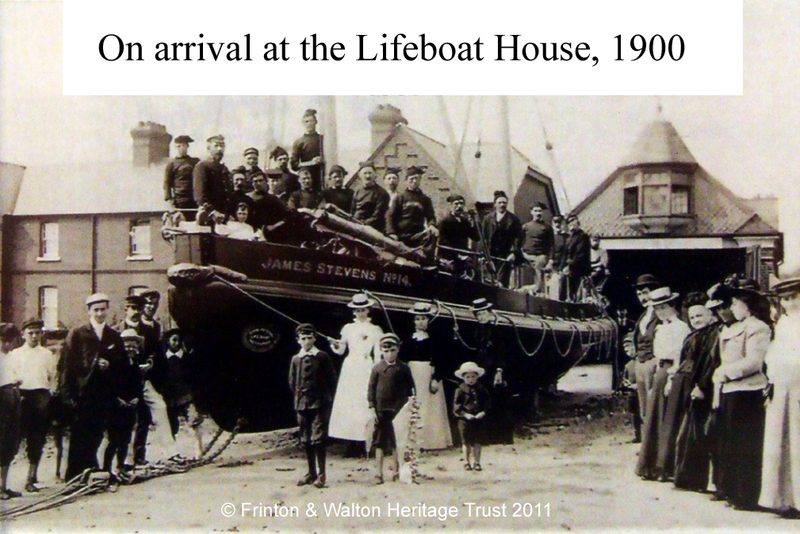 The Lifeboat House at East Terrace (now Walton Maritime Museum) was especially enlarged to accommodate her but soon after her arrival in 1900 she was put permanently afloat on moorings off the south side of Walton pier, where all the town’s RNLI lifeboats have been kept ever since. JAMES STEVENS NO.14 was returned to Thames Ironworks in 1905 to be fitted with a 40-hp Blake petrol engine, thus becoming one of the first motor lifeboats in the RNLI fleet. Frank Halls was appointed mechanic to look after her engine which gave a speed of seven to eight knots. 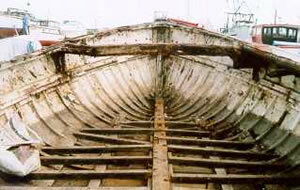 The sails and oars were retained but one of the drop keels had to be removed. She returned to Walton-on-the-Naze on 26 October 1906 and her first service launch under motor power took place on 26 January 1907. During her service career, JAMES STEVENS NO.14 launched 126 times rescuing 227 people. Her most famous rescue was on 29/30 December 1917 when she saved 92 passengers and crew plus two cats from SS PEREGRINE of London which had run aground on the Long Sand Head in a force nine easterly gale. Coxswain William Hammond was awarded a Silver Medal and Second Coxswain John Byford a Bronze Medal for this rescue. 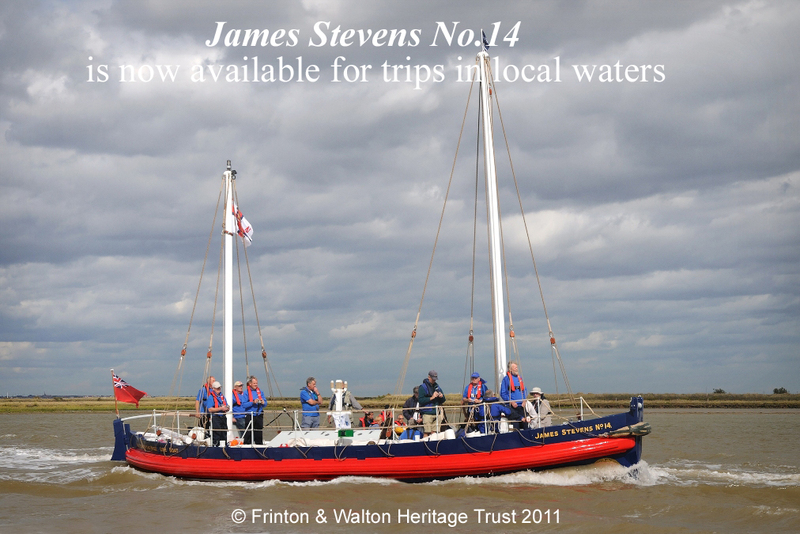 After JAMES STEVENS NO.14's last service launch on 29 March 1928, she was sold out of RNLI service for £180 to May & Butcher, a Maldon company of timber importers, who used her as a work boat on the Rivers Blackwater and Colne. At some time in the next 14 years she was sold to J Powles Ltd and acquired the name MARDEE. There is strong evidence to suggest that MARDEE took part in the evacuation of Dunkirk in 1940, but conclusive proof has not yet been found. In May 1942 she was taken over by the Department of War Transport and used as a fire boat on the River Thames; two large round metal plates on her hull marked the position of the water inlets for her fire hoses. 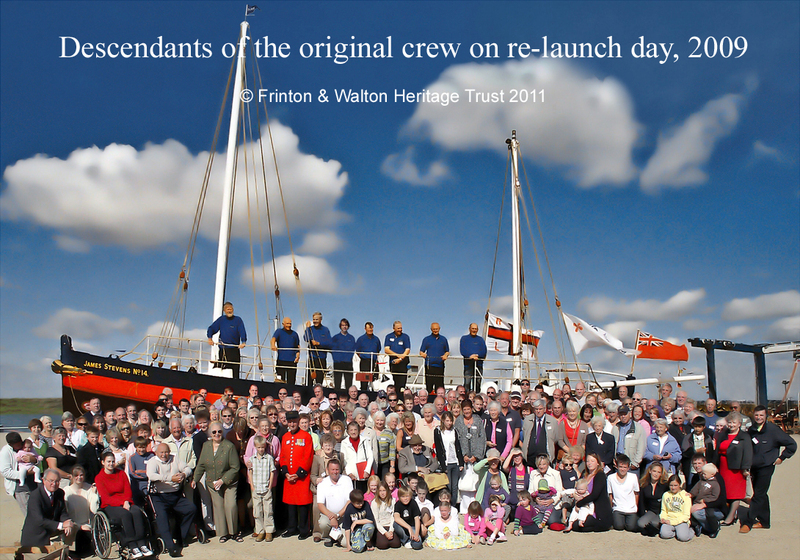 She was decommissioned in 1946 at Ibbotson’s yard at Beccles, Suffolk and in 1950 was purchased by Graham Starke for £500. Graham’s son Michael remembers a plaque referring to the Dunkirk evacuation being removed by the vendor at the time of sale. At this stage MARDEE had a single Scripps V8 petrol engine, an American Ford derivative used in Bren Gun Carriers during WW2. A secondary Kelvin petrol engine was fitted on the starboard side in 1951 in Lowestoft. 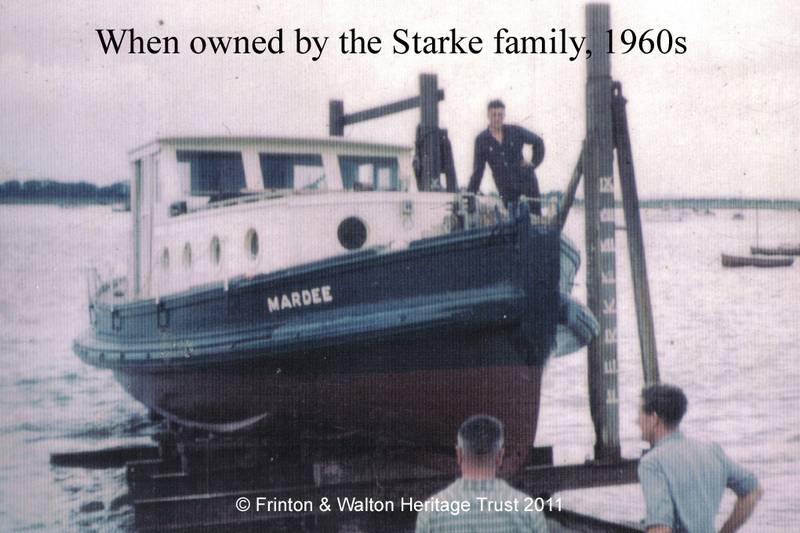 From 1952 she was based at Brightlingsea where the Starke family sailed extensively in the Blackwater and Colne estuaries. In 1961 she went to Cardnell’s Yard at Maylandsea for a major refit, including a new stern post. 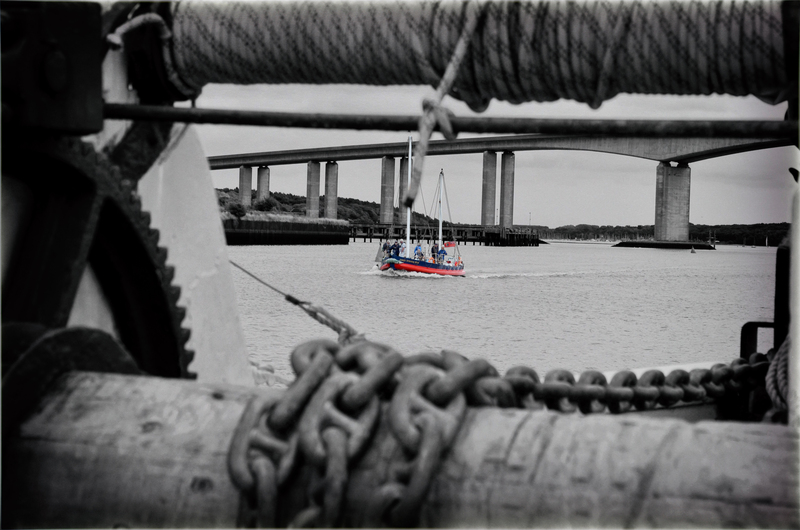 From 1963 she was kept in the Heybridge Basin. In 1967 Mr Starke found a second Scripps V8 engine in a MoD warehouse at Southampton, still in its shipment crate greased and oiled as new. He used this identical engine to replace the one which had completed at least 20 years’ service. She was sold for £1200 in August 1976 to Mr R Gale of Hornchurch, who wanted to sail her to the Mediterranean via the Bay of Biscay! 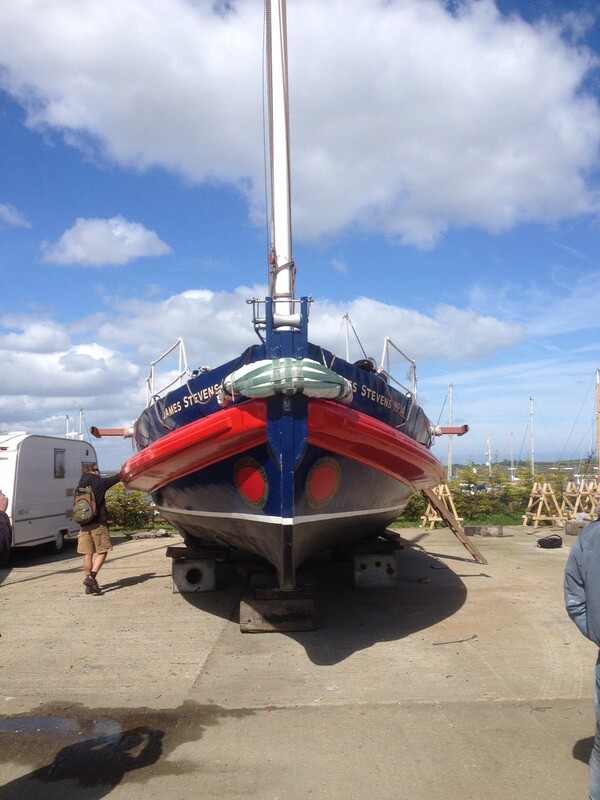 Instead she was put into the fresh water Heybridge Canal until l978 when Mr M Burling bought her. 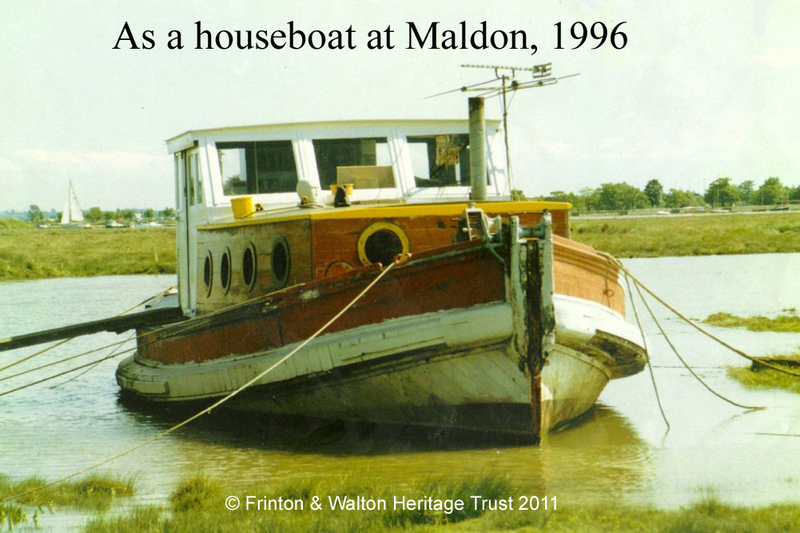 The engines and ancillary equipment were removed so she could become a houseboat in a mud berth at Maldon, ownership passing to D P Orriss in 1988 and then to J Newton in 1991. 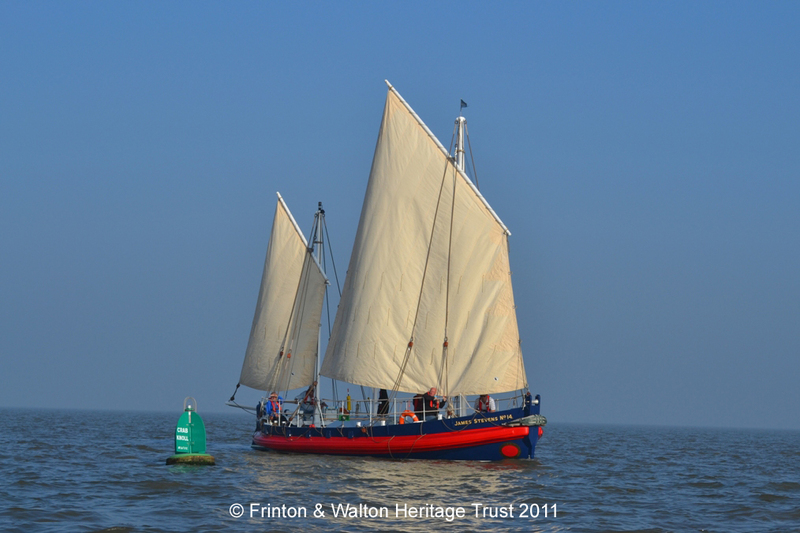 Frinton & Walton Heritage Trust was advised of the vessel’s location and, in 1996, the Newtons lent the Thames Ironworks’ builder’s plate to Walton Maritime Museum for display. 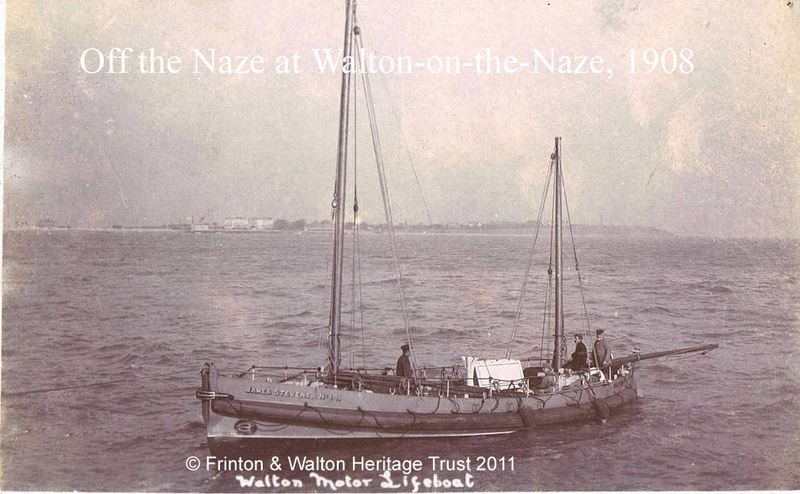 When, in 1998, they requested the plate back as they wanted to sell the vessel, the Trust decided to purchase the boat and return her to her home town of Walton-on-the-Naze.